How would you like the opportunity to study in an environment encompassed by wooden hives instead of conventional libraries? Or in classrooms designed just the way the child would draw them in a notebook? Let us all have a look at some examples of such wondrous ideas brought to life by architects. This school has been designed by Bjarke Ingels group BIG, a Copenhagen, New York and London based group of architects. 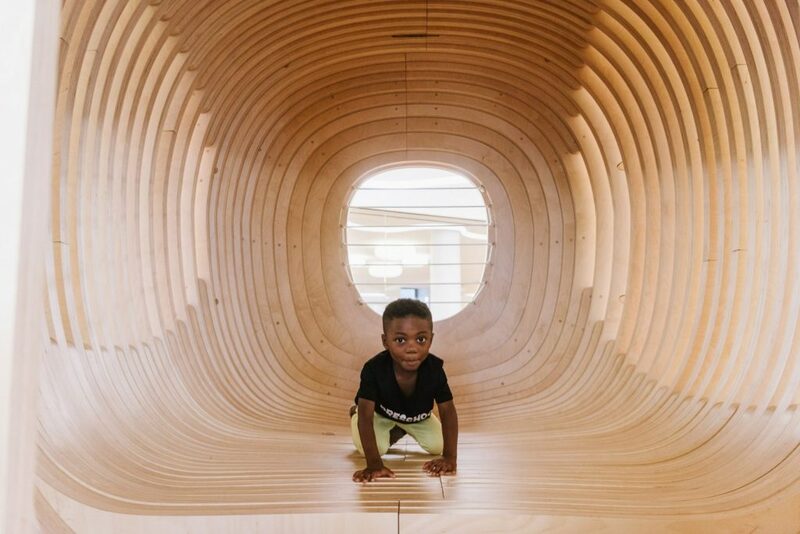 The creators have already managed to introduce their unique way of designing diverse sites all over the world, and now they brought consummate craftsmanship of modern design to WeGrow school located in Manhattan’s Chelsea neighbourhood. WeGrow school is an exemplary representation of the way future schools will be built. The design of this school doesn’t follow the conventional rules of the school building: a set of superelliptic objects in WeGrow school space engage the children in movement, play, contemplation and reading. The school is equipped with 4 classrooms, multi-purpose studio, art studio, music room, flexible workshops, community space etc. The area which is truly playful and family-friendly helps to elicit inner creativeness of the students and change perception of a prescriptive school building. 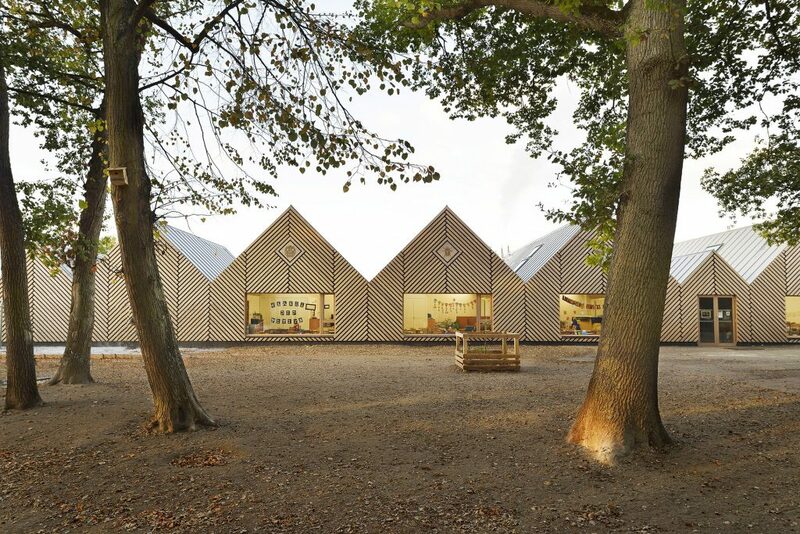 These small and welcoming school buildings were designed by Tracks architectes, an artistic union which consists of two architects based in France. 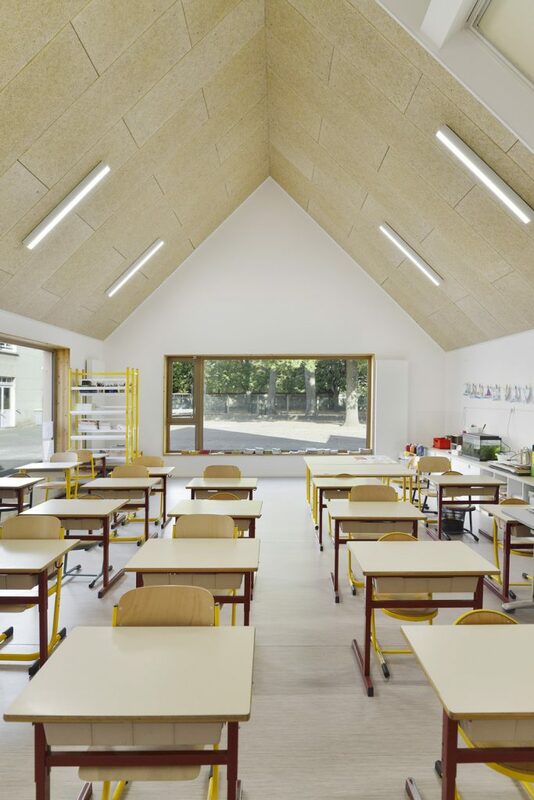 They curated this energy-spirited project for a school in Centre Bourg Perthes. 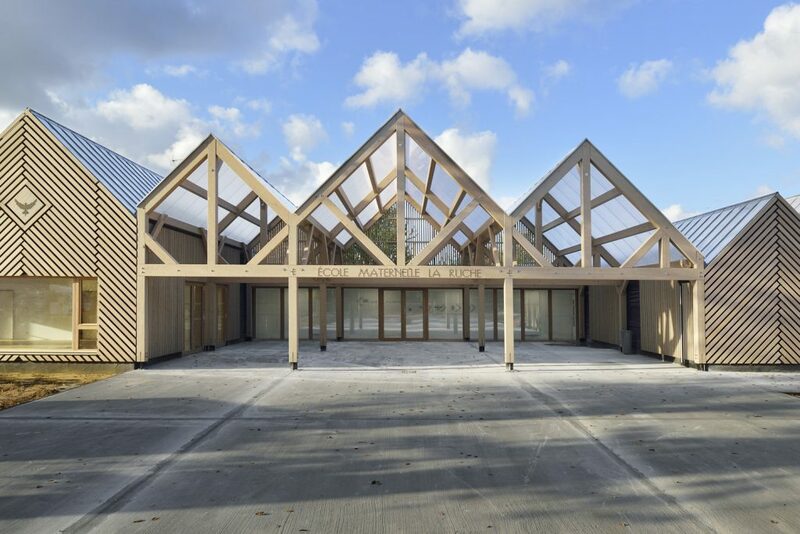 La Ruche School is situated in a greensward pedestrian area in France. Such buildings are evocative of how a child would like to see a school, that is simple and cosy. The fact that there are no convoluted elements present in the construction of this school makes it comfortable thus supporting the energy of the children’s creativeness and togetherness. The school has an enormous courtyard space for children to enjoy themselves in a playground. It allows them to feel that they are not trapped in a 4 wall building and gives an opportunity to go out during the break time. The architects placed an educational garden there equipped with elevated gardening trays. There is also an area for rainwater collection which contributes to cultivating environmental responsibility among the younger generation.